(VEN) - Vietnam is adopting varied policies designed to boost its science and technology workforce as an important resource for the country’s economic development and its international standing. Ministry of Science and Technology data show that 167,746 people nationwide are involved in research and development (R&D) activities. Of this total, 141,084 (84.1 percent) are employed in R&D activities in the state sector; 23,183 (13.8 percent) in the non-state sector; and 3,479 (2.1 percent) in the foreign-invested sector. The total includes 14,376 doctoral degree holders, 51,128 master’s degree holders, and 60,719 university graduates. The number of Vietnamese scientific research works published by the Institute for Scientific Information (ISI) has grown about 20 percent annually. The World Intellectual Property Organization (WIPO)’s Global Innovation Index (GII) 2017 Report ranked Vietnam 47th among 127 countries and territories, up 12 places compared with 2016. 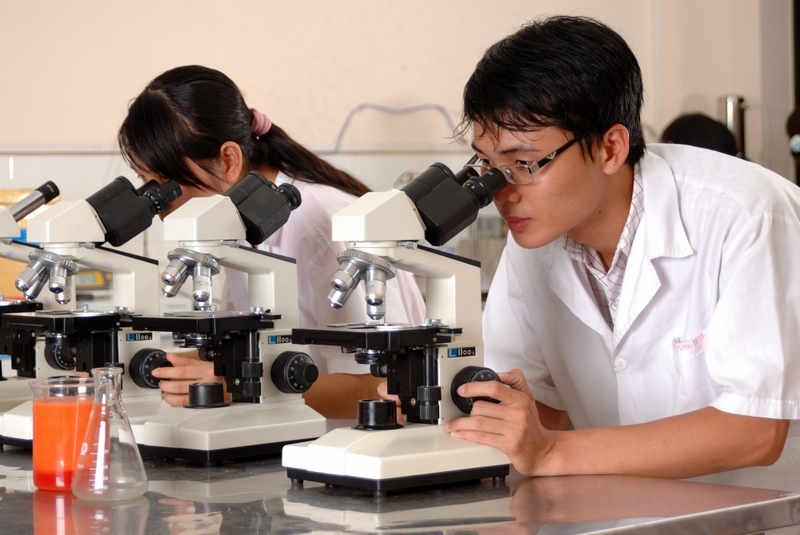 Vietnam stands among the top ASEAN countries in developing basic sciences. Other countries have adopted policies that offer sci-tech workers preferences. The Republic of Korea (RoK), for example, established the Korea Institute of Science and Technology (KIST) in 1966, paying scientists three to five times higher salaries compared with university professors. The institute runs a self-management mechanism, has the right to choose its science staff, and has its own fund. After four decades, KIST has become one of the top 10 science and technology institutes in the world, and the RoK has become one of the most successful industrialized countries. Vietnam promulgated the Law on Science and Technology in 2013 and Decree 40/2014/ND-CP regarding preferential policies for leading officials in the science and technology sector, sci-tech officials assigned to preside over the implementation of major national projects, and young, talented sci-tech workers. The establishment of the Vietnam National Foundation for Science and Technology Development enables young scientists to join state-level scientific and technological projects. The recently established Vietnam-Korea Institute of Science and Technology (V-KIST) applies a specific financial mechanism to encourage highly qualified scientists, including Vietnamese and foreigners, to participate in scientific activities. Not only paying them high salaries, V-KIST also creates the most favorable conditions for scientists to conduct research and develop new technologies. Under the Strategy for Science and Technology Development in the 2011-2020 period that has been approved by the prime minister, Vietnam expects to have 11-12 scientific researchers for every 10,000 residents and 10,000 international-standard engineers by 2020.